Unit 1: How Do You Comply with HIPAA Security? Unit 2: What's Different About HIPAA Security for Groups? Unit 3: Should I Go With Independent Contractors or Employees? 2 CE Hours. Self-Study Session Replay. Running a group practice is exciting, fulfilling, and — hopefully — lucrative! There are challenges that come with the territory, though, including new risks that don’t show up when you only have to worry about yourself and your own practice.This introductory-level course for counselors, clinical social workers, marriage and family therapists, and clinical and counseling psychologists will help attendees identify the risks in their group practice related to documentation processes and to HIPAA Security compliance, and it will provide guidance on how to handle those risks. 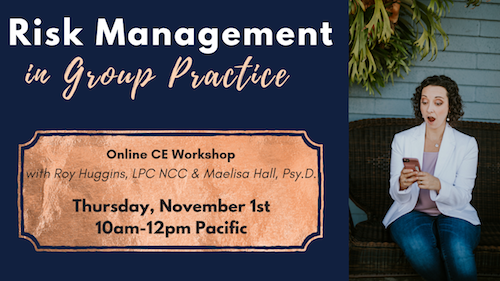 Paperwork diva and quality assurance expert, Maelisa Hall PsyD, will teach attendees about managing the quality of documentation among group clinicians. HIPAA security, technology, and telemental health expert, Roy Huggins LPC NCC, will talk about managing HIPAA-compliant security policies and procedures as well as the challenges and strategies for helping clinicians and staff comply with those legally-required documents. The session will be fun, too, as Maelisa and Roy discuss these vital and information-packed topics with a positive, therapy-affirming attitude. Can the practice enforce its HIPAA Security policies and procedures? Maelisa’s love of collaboration means that she is always networking and focuses on resources for the mental health community. 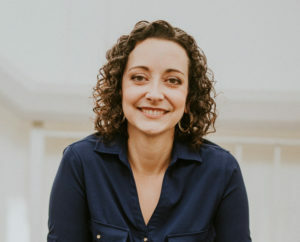 Her love of online marketing means that she is constantly sharing these resources and staying up to date on latest trends, which she manages to do while living on a sailboat in Southern California. Accuracy, Utility, and Risks Statement: Some interpretation and analysis presented is made by the presenters based on professional work experience, research of literature, and publications from the federal Department of Health and Human Services. The program may not include information on all applicable state or federal laws. Misapplication of the materials, or errors in the materials, could result in delays or other issues related to insurance payments or contracts, security problems, data breaches, or non-compliance with applicable laws or ethics codes.